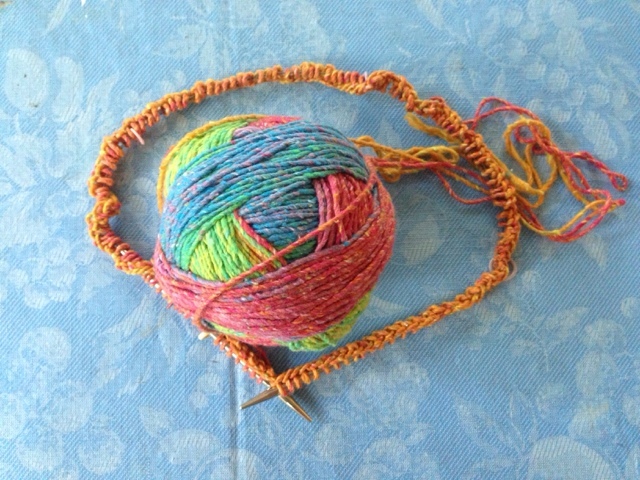 In 48 hours, I leave for Meg Swansen's Knitting Camp in Marshfield, Wisconsin. Whoo-hoo! I have to admit that I am as nervous as I am excited. 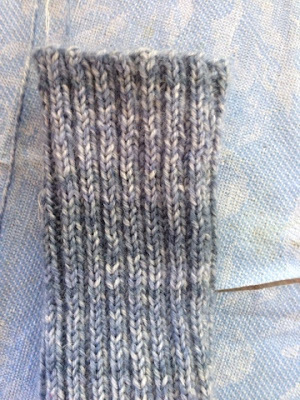 I am not a very confident knitter, so I am sure that everyone else will knit better (whatever that means!) than I do. I'm actually OK with that. I do worry that I will find out that I do everything wrong and I will have to relearn everything. I would worry about people laughing at some of my knitting habits, but I have found that knitters are unusually nice people. 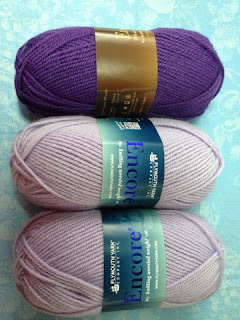 I'm using lavander and purple Encore Worsted because I think it's a sturdy yarn for kids and the baby I have in mind has a mom who loves purple. I am not sure what else to bring, knitting-wise, so I'm going to fill an entire suitcase with the yarn and projects. That is the beauty of traveling by car -- no luggage limits! I stumbled on two knitting books that I just HAD to have. 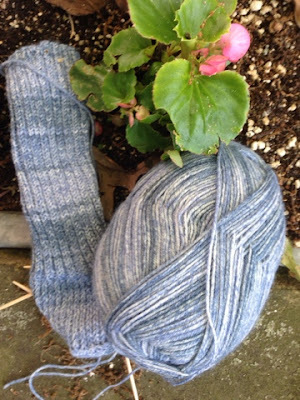 Obviously, I could not resist Handknitting by Meg Swansen. I thought reading a bit of in advance would help me understand her knitting approach. 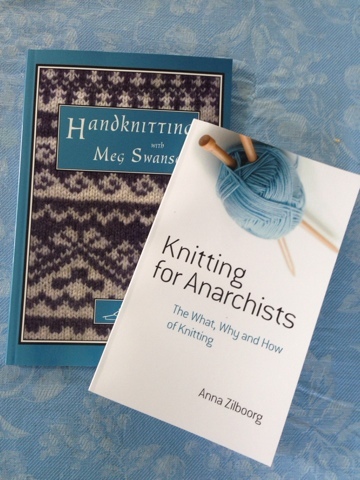 And what leftie could resist a book called Knitting for Anarchists? 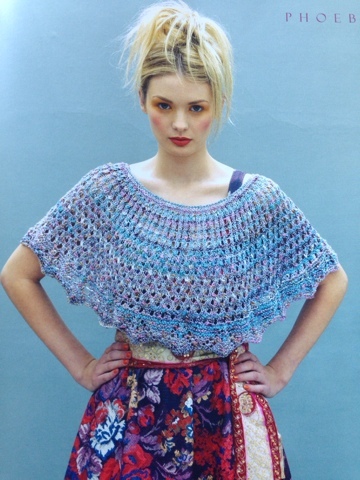 Anna Zilboorg has written some gorgeous books about knitting ethnic (and elaborate!) hats and mittens. This looks like an entirely different animal. 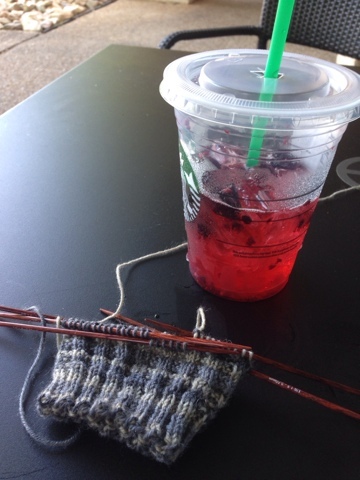 Besides, I never get tired of reading about knitting. Do you? I'll be joining Nicole for Keep Calm Craft On and Ginny for Yarn Along. Join us! ... look in the dictionary under "klutz." Yep, I fell again. A little over two years ago, I fell down two stairs in my own house and broke my leg so badly I needed surgery. 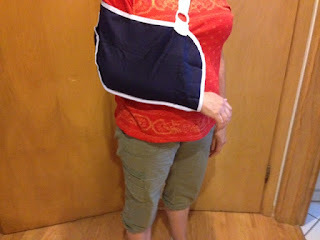 Yesterday, I tripped at the beauty salon and hit the floor with my right shoulder. The worst part is that I hadn't had my hair cut yet! Instead, they called my husband to come take me to Urgent Care. Actually, I feel lucky because I didn't break anything this time. I have to keep my shoulder supported, but I can still knit. This is crucial because I leave for Meg Swensen's Knitting Camp on Thursday! On the way home from Urgent Care, we stopped at the yarn store so I could pick up yarn for camp. (Am I a determined knitter or what? Maybe just plain obsessed!) 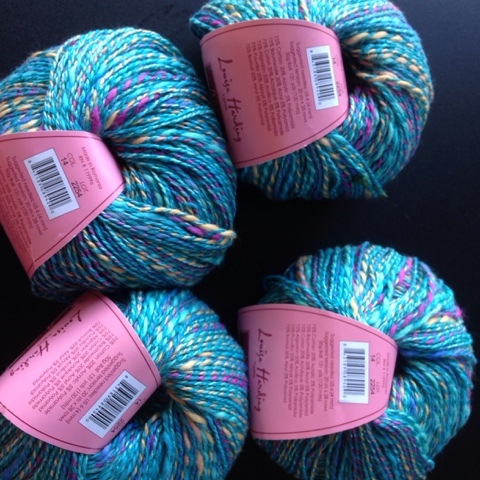 These three skeins will become Meg's Baby Spiral Yoke Sweater. The sweater is an optional homework assignment. I figure that it makes sense to work on one of her patterns for the camp. My ex-husband's grandmother was a wonderful woman who lived in her own home until she died at age 95. She always said that she wanted to live for one more season to see the flowers. As I get older, I understand her feelings more and more. One of the things that is hardest is for me is living far away from my brothers. Since I left journalism and became a teacher a decade ago, I try to spend a chunk of my summer vacation with my brothers on the East Coast. 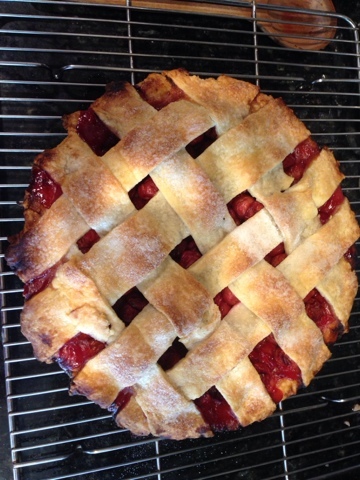 He's quite the pie master. But, of course, the real reason I go is the people. My brothers and their partners are so warm and welcoming. We talk on the phone all year, but it isn't the same as talking in person. And my nieces and nephews are growing into amazing people. Rebecca just finished her freshman year of high school. 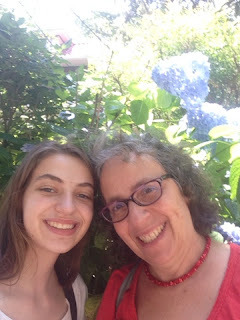 This summer she is writing a book, working as a camp counselor, and going to Shakespeare camp. 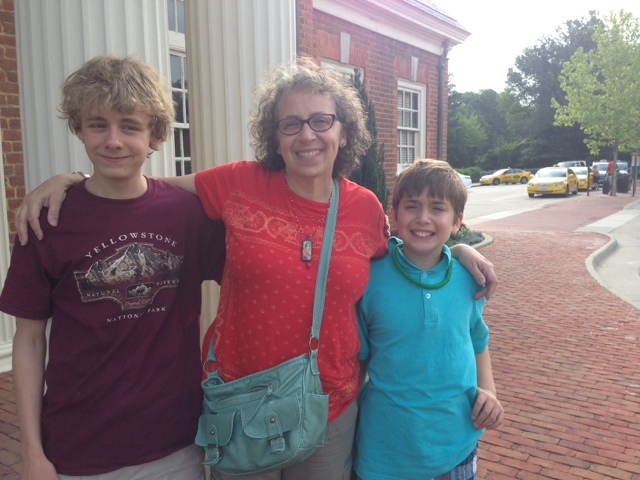 In Williamsburg, I got to hang out with Robbie and Theo. Robbie, who also just finished his freshman year, took a Spanish class at the College of William and Mary in June, so he is all set for a family trip to South America. Theo is the baby of the family, but he is growing up fast. Not pictured is my niece, Jennifer, who just graduated from Davidson College and will soon be moving to Los Angeles to work for a consulting firm. Wasn't it just yesterday that she insisted on wearing her Belle costume every day??? As much as I miss them all, it is nice to be home. I had a long phone conversation with my daughter in Miami this afternoon. She was in Israel while I was out East, so I was excited to hear about her trip. And this weekend I hope to see my son, who is taking it easy after his first year of vet school. When my daughter was little, she said that we should buy a big house so that we could live with her aunts, uncles, and cousins. I still think that's a pretty darn good idea! Well, now I am in Washington, D.C., where it is also hot. High of 97 today! However, I love love love Washington in any weather. Besides, my brother's house is air conditioned. And I am mostly here to hang out with him and his family. 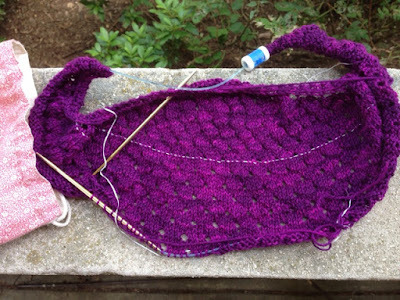 I've been knitting away at my Pebble Beach Shawl. 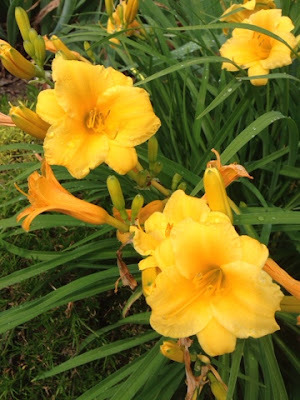 It is a great travel project -- pretty repetitive and simple. I had high hopes for The Orphan Master's Son but I'm finding it a tough read. Although it's set in North Korea, it isn't really about daily life there, and that is what I was hoping for. It more of an adventure/intrigue story. The writing is excellent and the plot is intricate, but it is not a fun vacation read. I can't decide if I'm going to finish it or not. 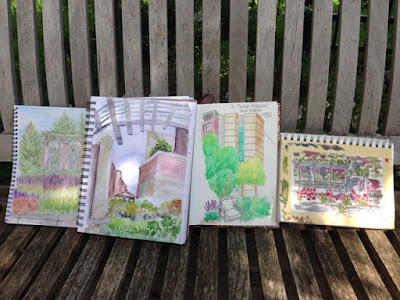 Cloth Paper Scissors magazine is having a Zentangle contest and I'm going to submit something even though I know I don't have a chance of winning. This is my first attempt. It's OK, but I don't like it enough to spend $15 to submit it. I already have a few more ideas started in my sketchbook. 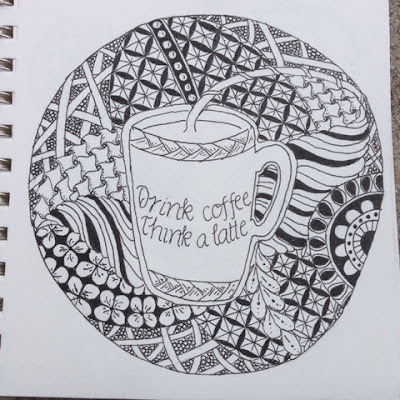 I know my Zentangles are good, but they aren't great and there are some amazing tanglers out there. I haven't had time to read blogs for a few days, so I look forward to catching up with you all when I get home later this week. I'm joining up with Frontier Dreams today for Keep Calm & Craft On. Today I am coming to you from Williamsburg, Va. I am happy to say that I am not here as tourist. Perusing Colonial Williamsburg would be awful today, with a predicted high of 97! The humidity is also sky high. Instead I am spending time with my brother and his family. 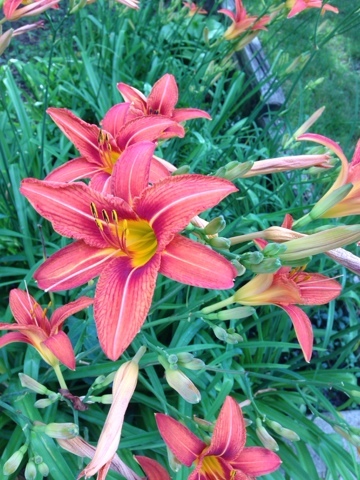 They live in a lovely subdivision that has fabulous bike trails and a Starbucks! 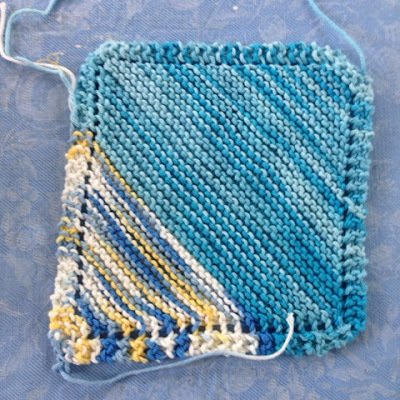 You start at the bottom and cast on 324 stitches! But, hey, I am on vacation so I can spend as much time casting on as I want! Got up and went to work this morning for a meeting. I've come to terms with the fact that teachers can't even pretend to have summers off! No one tells us we HAVE to work, but we need to work in order to be ready for the fall. That's just the way it is. 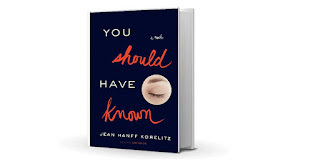 I just finished You Should Have Known by Jean Hanff Korelitz, and I was disappointed. The story centers on a woman whose husband suddenly disappears and then she finds out that she didn't really know him at all. I usually love this type of plot. I found the writing sloppy and filled with irrelevant detail and the plot very predictable. Even worse, the author didn't tie up all the lose ends. I gave up on The Happiness Project. Many of my commenters last week said they found it, well, less than compelling. I agree. I also thought she went into a tedious amount of detail about her thought process. The author's life is such a good one that it doesn't make for much of a story. 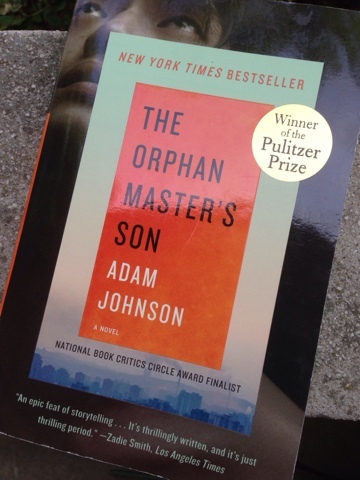 But I'm leaving for the East Coast today to visit family, and I'm going to start The Orphan Master's Son when I get to the airport. It won the Pulitzer Prize for Fiction, so I'm anticipating a well-written book. It is set in modern-day North Korea, and I don't see how that can fail to be fascinating! Don't forget to check in with Nicole at Frontier Dreams to see what everyone is crafting. When you knit a stack of Almost Lost Dishcloths, you end up with a pile of cotton skeins, none large enough for an entire dishcloth. I decided they were too good to toss, so I decided to make modern art ... er, Grandma's Favorite Dishcloths -- cobbled together with the leftover yarn. So, it's not a thing of beauty, but it will work just fine in my own kitchen. There will be more awkward-looking dishcloths in the future. But don't hold your breath, my hands can only handle knitting with cotton for limited times. I started summer vacation this morning by waking up, making coffee, and then going back to bed to read for awhile. Totally decadent! I bought this skein of Plymouth Kudo a year or two ago because I loved the colors and feel of the cotton/linen blend. 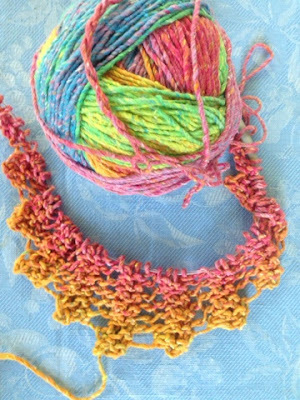 This colorway screams summer to me and I was sure I could find a pattern that would make a perfect warm-weather accessory. "This yarn breaks pretty easily - handle with care while knitting, especially if you have tighter tension." And a lot of the comments echoed this. Wow, I probably wouldn't have bought it if I'd read the comments first. And I'm not sure that would have been a good thing. This yarn has its defenders and I am liking it. After looking through projects made with Kudo, I settled on the Gallatin Shawl, and so far I'm liking the way it looks. It's a nice, mindless knit, too. 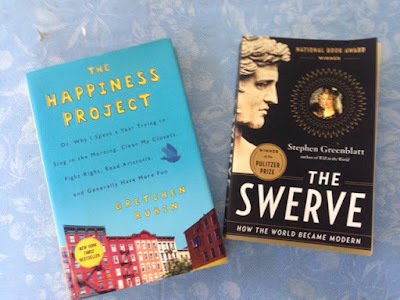 As for books, I just finished Thew Swerve by Steven Greenblatt, which tells the story of how a papal secretary found a copy of Lucretius's poem On the Nature of Things in a monastary in 1417. Greenblatt makes a pretty convincing argument that this ancient poem, which puts forth ideas such as atoms as the building block of the universe, was instrumental in making the modern world. It's mostly a good read and interesting. Some parts are a bit more intellectual than I felt like reading, so I just skimmed them. I've started The Happiness Project for about the 5th time. If it doesn't take this time, I'm donating it. 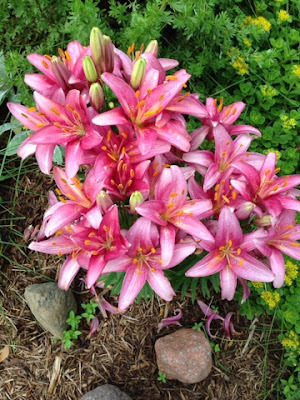 It is a little hard to get excited about a wealthy New Yorker's attempt to make her life even happier. But it's been very popular so maybe there is something to it. Has anyone read it? Two more days of school! I'm checking in with Frontier Dreams to see what everyone else is up to this week. Hours working on improving our back yard. See the weed patch in the foreground? That is what the entire yard is like (only the weeds were much higher before we began!) 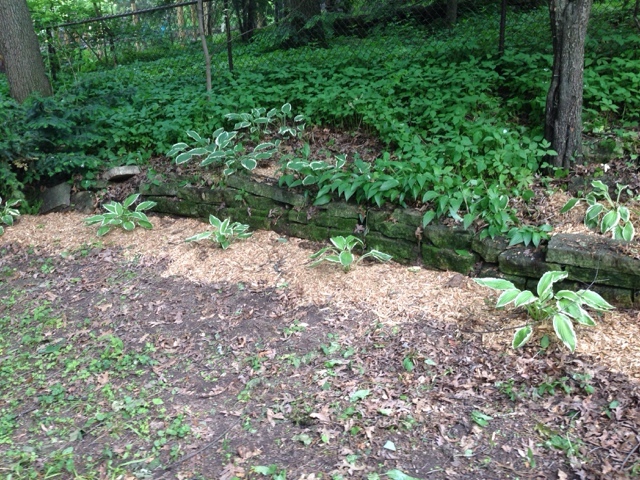 We live in deep shade, so we're starting with a hosta border. And some tentative knitting. I stumbled on this ball of Plymouth Kudo (cotton/linen) and decided it was too perfect for summer to put back in the bin. 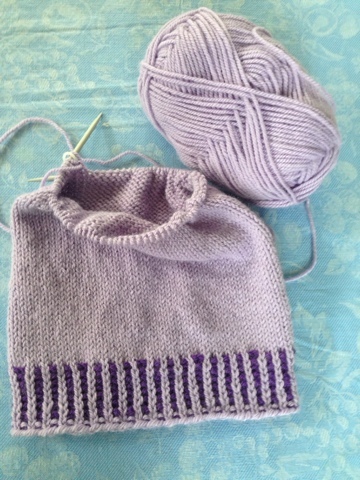 This is the beginning of a cowl, which I have since frogged. 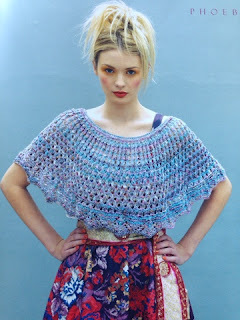 I've been searching Ravelry to find the right pattern. Any suggestions? Four more days of school -- only three with students. Today is the last academic day. 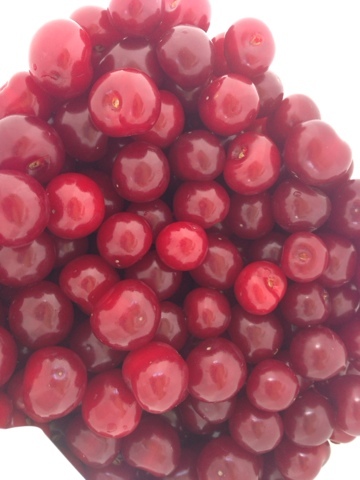 Tuesday we go on the class trip to a water park, and then Wednesday is the Farewell ceremony and dance. Thursday, I can't leave the building until I have all my paperwork done and my stuff packed up in boxes. And then, finally, summer really begins! I hadn't touched my kumihimo things in months, but my friend Tsela asked me if I'd teach her how to do it. I love doing art/crafts with other people, so I pulled out my supplies and began to get organized. Kumihimo is an ancient Japanese braiding technique that is done with a disk like the one in the picture. It is traditionally done with silk cords, but I like it much better with beads. I realized that the last time I tried to teach someone what a disaster. I found the partly complete necklace that my friend Joni worked on last summer. You would think that a teacher would be able to teach an adult how to do a reasonably simple task. But I rushed her through the steps. Most importantly, I didn't teach her the way I taught myself. 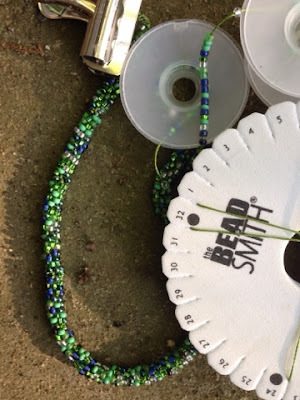 So, here is my tip for anyone who wants to kumihimo with beads: First, learn the braiding pattern with an inexpensive fiber like Rattail, which you can find at most craft stores. Then try it with beads. Once I got Tsela going, I unbraided Joni's necklace (the one in the photo) and braided it for. Won't she be surprised when it arrives in the mail! That means men's socks. I'm hoping to gift many of the men in my life socks for Hanukkah. 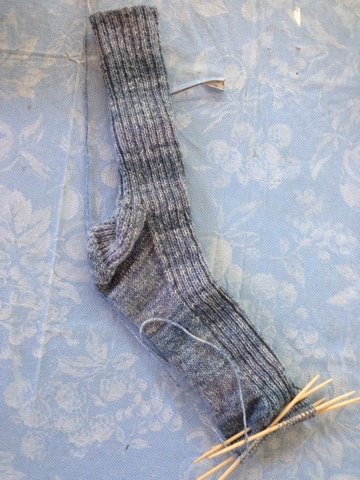 I haven't knit a lot of socks for men, so I'm going with 2-by-2 ribbing, which I think is very safe in terms of fit. Not the most interesting knitting, so I decided I needed to invest in a good audiobook to keep me going. 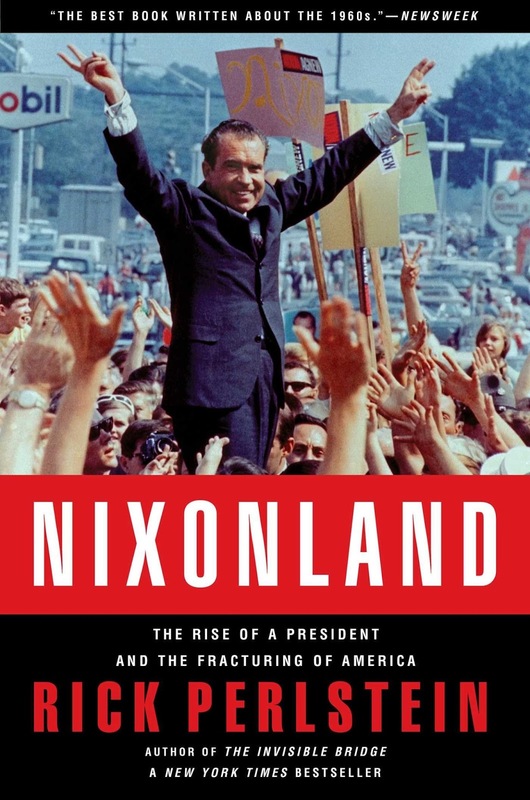 Nixonland is serious nonfiction, but so well-written that I have a hard time turning it off. The author is a journalist, which makes for better writing than many historians. (Or am I, a former newspaper journalist, biased?) It's very relevant today because it charts the beginning of the current divide between the two major parties, between the right and the left in America. It's also a fascinating portrait of an unusual politician. 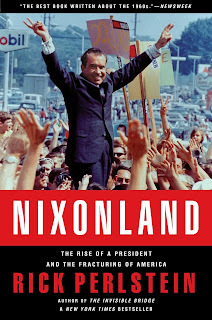 Richard Nixon was a very unappealing man who managed to become president. I always wondered how that happened (I was a child at the time). The answer: he was a very smart politician. I've got five more days of school before summer vacation. This year, I have very mixed feelings. I have a great group of kids this year. They are an exceptionally bright group so we are able to have great discussions about things like history and current events. I'm going to miss these guys! I'm joining Nicole to see what everyone is up to.